The Alexanders: Our Big Annoucement! Well, most of you already know--but we have a big announcement! 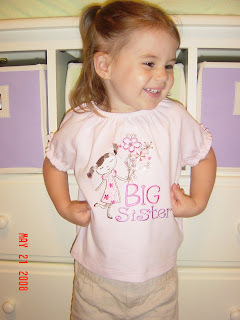 Avery is going to be a big sister! We found out this past week that Baby Alexander #2 is on the way! We are extremely excited that God has blessed us in this way and that he blessed us so quickly after we decided we were ready! Thank you Lord! If you ask Avery what's in Mommy's tummy, she will say "a new baby" but if you ask her if she thinks it's a boy or a girl--you will get a different answer every time! We don't care what we get next time as long as he or she is healthy! We appreciate your prayers for the safety and health of Mommy and Baby! Yeah!!! The news is out. :) We're so excited for you and are already praying for the new baby. Congrats!!!! We are so happy for you all!! Get all the sleep you can now- ha! Well, praise the Lord for the new little one! I am thrilled for you!!!! I can not wait to meet this new little one! 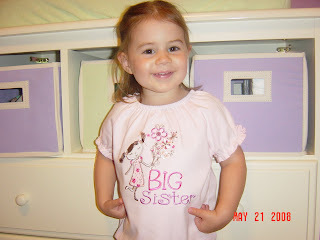 My vote is you are having another little girl, although we could use a few more boys in the family!